Because many of you are still 'catching up' on Week#1~4 tasks, there will only be one major new task this week and it involves using an RSS Reader to make websites come to you. 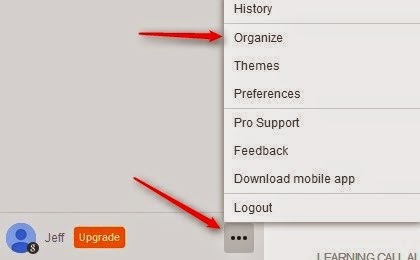 The screencast below shows how to use Feedly.com to subscribe to sites you like. Please watch the screencast in its entirety and check out the update below (Feedly made an interface change the day after the screencast was recorded). Then Download the TES531feeds.opml file here and spend some time exploring the sites in your Feedly (and perhaps adding others). As always, use Diigo to bookmark any interesting sites you encounter. By the end of the week, please create a blog post about useful sites and/or posts you've seen and how you might use them in your teaching and/or learning. There will be a few additional minor tasks and course updates posted Monday evening. In the meantime, please make sure to let me know your availability and preferences for a live virtual session here. Screencast Update: The 'Organize' and 'Preference' links have moved. 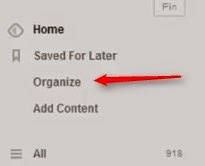 Instead of the top left, click on the three dots at the bottom left and select 'organize' or other menu options. Check your gmails for a personalized checklist of tasks from the first four weeks of this course.